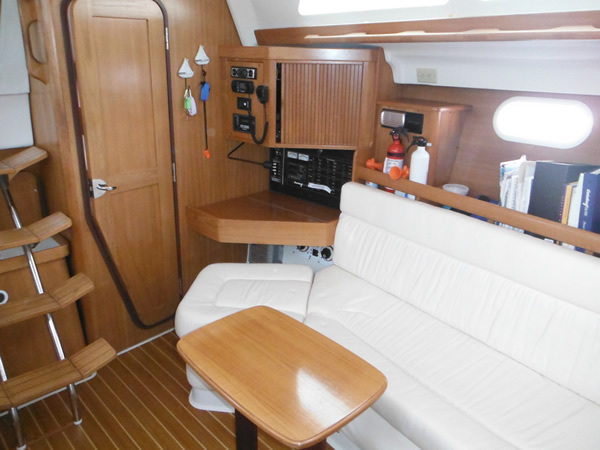 Custom interiors were a specialty at Bristol Yachts. Master woodworkers build and finish furnishings to owners' specifications, using hand-picked woods of teak, mahogany, ash or cherry. Attention to detail, from tooling to a dovetailed drawer to crafting and elaborate wine rack set the Bristol yachts apart. 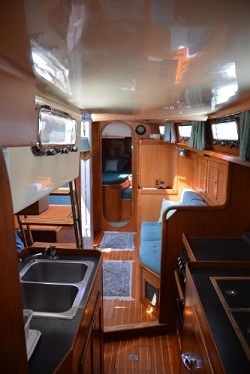 The cabin sole is built of individual pieces of solid teak and ash splines that are screwed and then glued to a sub-floor. 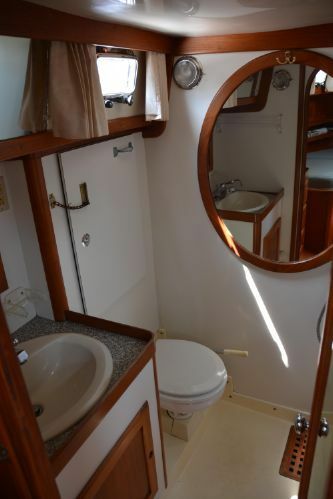 The 41.1 layout maximizes function, graciously accommodating up to six people below deck. 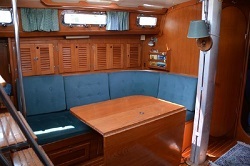 Spaciousness which includes plenty of storage for gear, makes cruising especially comfortable. 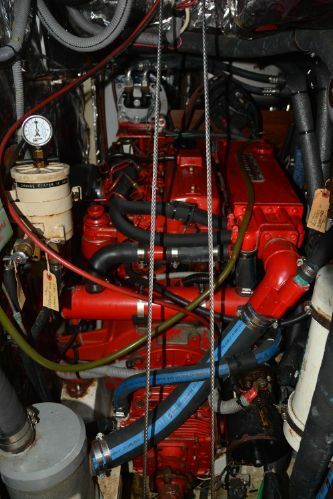 Performance -The ultimate in cruising yachts. 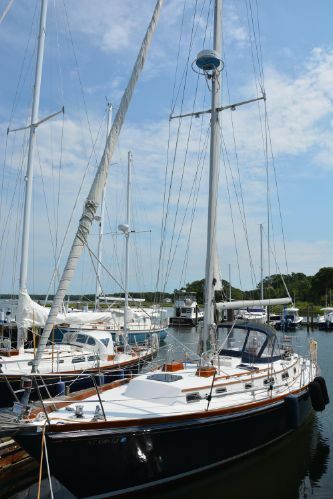 With a medium displacement keel/ centerboard design, the 41.1 provides favorable wetted surface to displacement ratio and a fine entry for superb upwind performance. 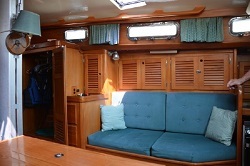 A tall rig and powerful aft sections provide stability and comfort under sail. She is capable of carrying her skipper and crew across any sea with safety and in comfort. 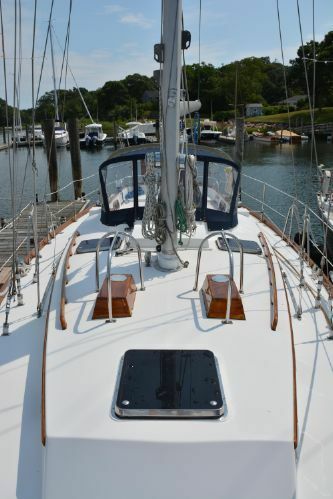 Always performing dependably, the 41.1 is easily sailed by two people. 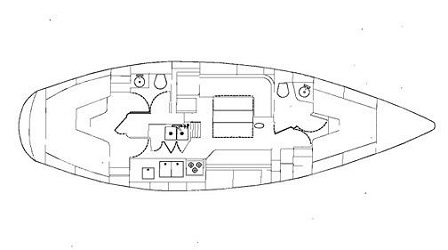 Construction- The 41.1 epitomizes Bristol's commitment to the highest standards in yacht construction, with a hull of five layers of solid, hand-laid fiberglass, utilizing vinylester resin. 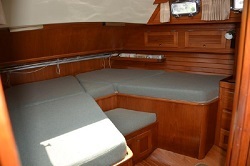 The deck is hand-laminated fiberglass with end-grain balsa/ fiberglass sandwich construction. 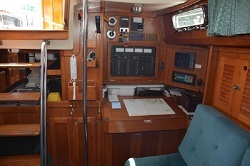 The deck, resting on a recessed flange inside the hull, is attached stainless steel bolts at six inch intervals. A teak toe rail completes the hull to deck bond when it, also, is through-bolted. The result is a bolt every three inches.